Ammonia is a toxic, colorless gas with a very sharp odor. Ammonia occurs naturally in the environment and is also a product of human activity. Ammonia compounds are commonly used in cleaning products and fertilizers. Ammonia is also used to boost the impact of nicotine in manufactured cigarettes. In the landmark Minnesota Tobacco Trial of 1998, a number of facts about how tobacco companies manipulated cigarette ingredients in a way to speed and intensify nicotine addiction for consumers were made public. Among them was the discovery about why the tobacco industry was one of the biggest consumers of ammonia in the United States. Low-tar cigarettes were introduced as a "safer cigarette" after numerous links were made between smoking and cancer in the late '50s. Filters were added as a way to catch the tar, and tiny holes in the filter were meant to dilute cigarette smoke entering the lungs. However, it appeared that lowering the tar content also lowered the amount of nicotine available to smokers. Tobacco executives called it a lack of "smoking satisfaction," but the truth is that less nicotine might mean fewer addicts. That was counter-productive for an industry that relied on nicotine addiction to grow and maintain its customer base. Tobacco company researchers began exploring ways to boost the impact of nicotine in cigarettes for smokers. It turns out ammonia is a good way to accomplish that goal. Nicotine molecules exist in two forms, acid (bound) and base (free). In tobacco smoke, free nicotine molecules vaporize more easily than bound nicotine molecules. Once nicotine vaporizes into a gas, it is quickly absorbed by the lungs and distributed throughout the body. Tobacco manufacturers discovered that adding ammonia to the cigarette manufacturing process helped convert bound nicotine molecules in tobacco smoke into free nicotine molecules by raising their pH. This process is known as "freebasing." Similar to the chemical process of freebasing cocaine, the end result is an enhanced effect of the drug on the user. Similarly, tobacco companies lowered the amount of sugar in cigarettes in order to increase alkalinity and the amount of free nicotine molecules in cigarette smoke. Expert testimony for the state at the Minnesota Tobacco Trial was offered by Channing Robertson, a professor of chemical engineering at Stanford University. According to Mr. Robertson, a look into internal tobacco company documents showed that in 1965, scientists at R.J. Reynolds were trying to understand why Philip Morris' Marlboro brand was more popular than their Winston brand. They discovered that Philip Morris was using ammonia in Marlboro cigarettes, and when R.J. Reynolds followed suit in the 1970s by adding ammonia to Winston cigarettes, they too, began to gain ground with consumers. By 1989, according to tobacco documents, upwards of 10 million pounds of ammonia compounds were being used annually by companies manufacturing cigarettes. At the same time, research into ways to increase the nicotine in tobacco plants was underway. Professor Robertson testified that Brown and Williamson Tobacco Corporation genetically engineered tobacco plants that yielded twice the normal amount of nicotine. "Y-1" as it was called in company documents was used in commercially produced cigarettes sold in the states. And those holes in filters meant to dilute the smoke and tar going into smoker's lungs? One tobacco memo showed how those holes also raised the pH level of the smoke, increasing the amount of nicotine delivered to smokers. It's All About Customer Satisfaction...Right? Big Tobacco maintains the nicotine kick smokers receive when lighting up by using ammonia in tobacco processing is only meant to increase "smoking satisfaction." One could more accurately describe freebasing nicotine with ammonia as deliberate manipulation to keep smokers addicted, and provide a quicker road to addiction for new smokers. Let's face it. 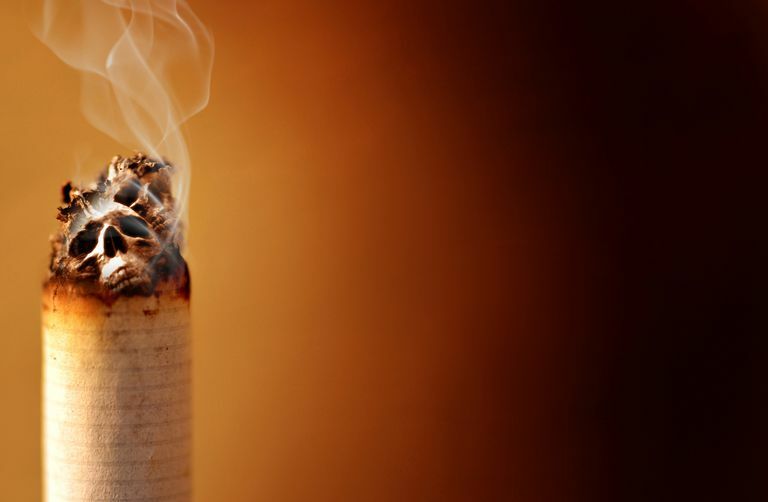 The tobacco industry is ruthless in its pursuit of gaining and keeping customers. They are willing to do whatever it takes to keep smokers addicted because if it weren't for addiction, no one would smoke. To date, science has identified over 7,000 chemicals in cigarette smoke, including upwards of 250 poisonous and 70 carcinogenic compounds. If you're still smoking, gather some supplies, set a date, and get started with smoking cessation. You'll never regret it. ToxFAQs: Ammonia. September, 2004. Agency for Toxic Substances and Disease Registry. Trial Testimony of Channing R. Robertson, Ph.D, February 3, 1998. Minnesota v. Philip Morris, Inc.